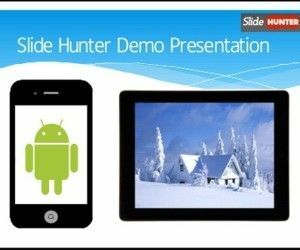 You can use different approaches to add maps to your presentations but if you are looking for a way to add Google Maps map as a background of your PowerPoint presentations here we will show you a solution. The result we want to achieve is shown below, and as you can see we have placed a map as a PowerPoint background just in the way Foursquare uses to do when you visit a place in their website. 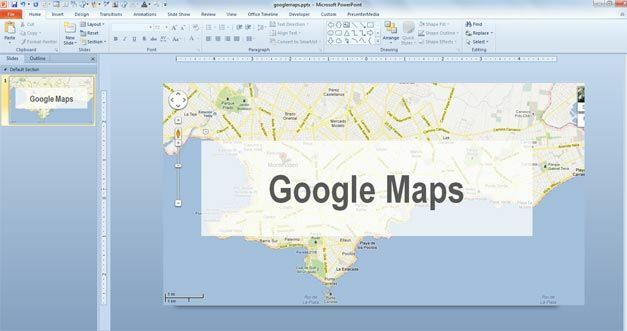 In this article we will learn how to extract a map from Google Maps and save it as an image so you can embed it as a background of your PowerPoint presentations or even insert it just as an image into the slides. This can be useful for example to show a map in a contact slide template. You can extract the map from Google Maps using the Google Maps API but it is limited to a small output size without the premier services. 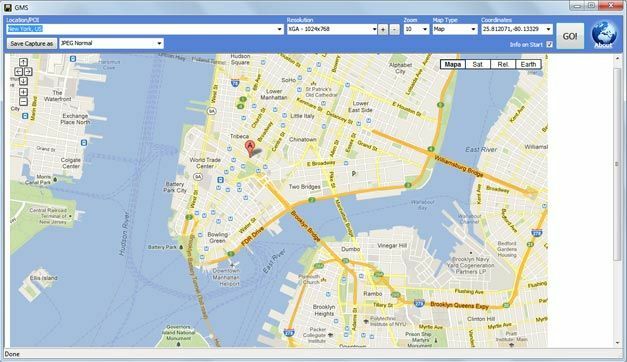 Alternatively you can use a simple software named Google Maps Saver (GMS) for Windows that will save a map generated in Google Maps. You can download GMS using this link here. 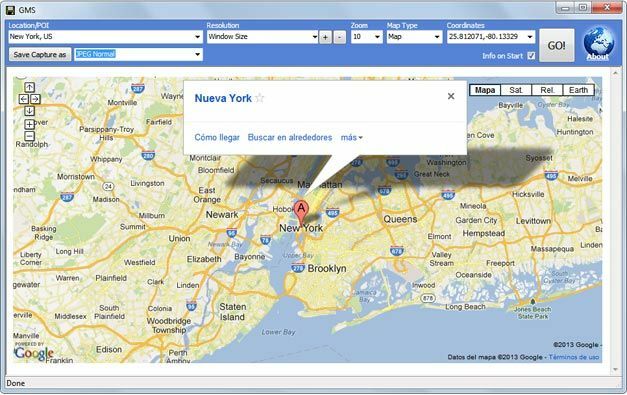 For example, we searched for a New York city and generated a Map using VGA 1024×768 resultion. Then we can specify the output format (JPG, PNG, etc.) and save the capture as a file. Unfortunately the output contains a string that says Saved with Google Maps Saver, but we can use Greenshot instead to get a screenshot of the map from the screen. 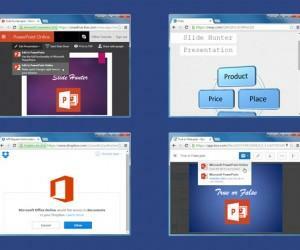 Now we can insert the picture in PowerPoint. 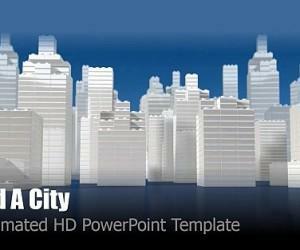 Here is the map once inserted into the slide and cropped to the slide size in Microsoft PowerPoint 2010. 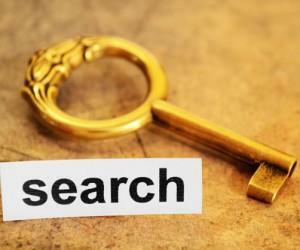 You can use the crop tool to remove the borders of this picture, and place a text placeholder or title over the image. 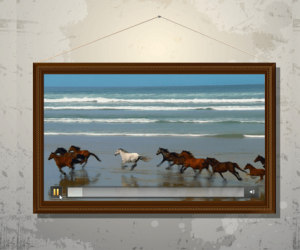 Remember to send the image to the back so you can display other text or pictures above it. 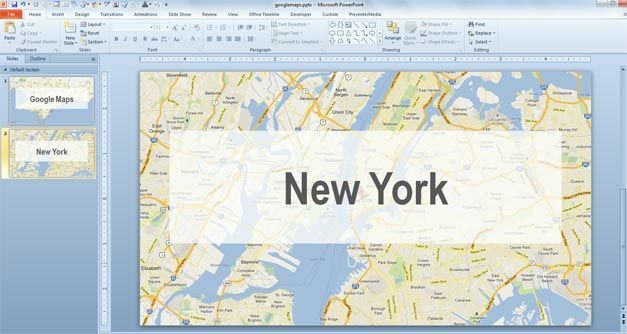 If you are creating a maps PowerPoint template then you can follow the same steps but using the Master Slide view in order to edit it as a template. 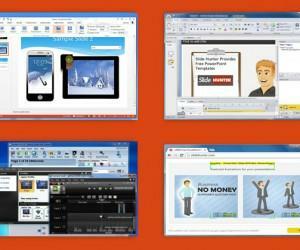 Remember you can download free PowerPoint templates, maps as well as free PowerPoint graphics for your presentations.